Unlike our typical foods, superfoods have numerous unique properties and health benefits. According to David Wolfe, “Superfoods are both a food and a medicine; they have elements of both. They are a class of the most potent, super-concentrated, and nutrient-rich foods on the planet – they have more bang for the buck than our usual foods.” There are also superherbs, for example, reishi mushroom helps support a healthy immune system, heart, lungs, kidneys, as well as assisting with rejuvenating brain and connective tissue. Goji Berries – In America, they’re known as Wolfberry. In the Chinese system of herbal medicine, goji berries rank number one out of more than eight thousand. They have been used for healing for over two thousand years. 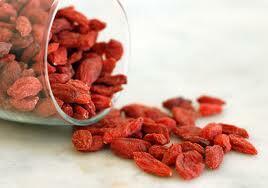 Goji berries are a complete source of protein, containing all eight essential amino acids. Goji berries are one of the richest antioxidant source, have potential life extending capabilities, contain far more vitamin C than oranges, much more nutritional iron than spinach, more amino acids than bee pollen, and more beta carotene than carrots. In addition to all of the nutritional benefits , goji berries are known immune boosters, mood enhancers, have cancer-fighting ingredients, and have the potential to improve the body’s ability to produce Human Growth Hormone (known for its ability to slow down the aging process). Goji berries may very well be the single most important food to aid in living a longer and healthier life with reduced risk of sickness or illness. Cacao – (raw chocolate) comes in many forms – powder, nibs, paste, and butter. All chocolate is made from the cacao bean which is loaded with numerous health benefits. Unlike the chocolate you buy in the store, raw cacao is free of sugar, dairy, and other additives such as soy lecithin. Just because you’re buying a dark chocolate bar doesn’t mean it’s healthy for you. Raw cacao is the number one source of magnesium out of any food – a mineral that most Americans are deficient in. Magnesium is essential for building strong bones, maintaining a healthy heart, brain, and digestive system. 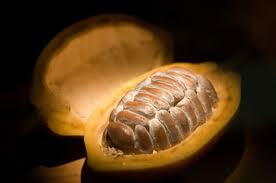 Raw cacao also has the highest concentration of antioxidants – more than blueberries, acai, and pomegranates. Cacao also contains iron, chromium, anandamide, and theobromine. Did you know that cacao was used as standard currency in Mexico until 1887? Maca – is a root vegetable similar to that of a turnip or radish and is said to have medicinal qualities. 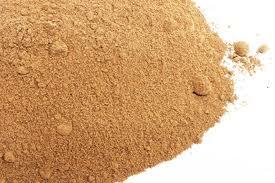 Maca root powder is packed with vitamins, minerals, amino acids, fatty acids and much, much more. Its been shown to strengthen the immune system, increase energy, endurance, and libido. The major benefits of maca are reduced risk of prostate cancer, increased stamina, improved memory, relieves stress and depression. Maca is touted as an alternative to Viagra. It also improves fertility. Maca is great added to smoothies and raw chocolate. Did you know that maca contains higher concentrations of calcium than in milk? Bee Products – Honey, Bee Pollen, Royal Jelly, and Propolis. When I first made the switch from vegetarian to vegan, I also eliminated all bee products. Hearing about the treatment of bees made me sick to my stomach. When using these products, it is so important to know your source – make sure there is no cruelty involved. I made the decision a few months ago to add bee products to my diet because of the amazing health benefits. For example, bee pollen was used in early Egyptian and Chinese civilizations as a medicine. Hippocrates used bee pollen over 2.500 years ago as a healing substance. Today natural health practitioners often refer to bee pollen as an herbal “fountain of youth” that can be used for everything from weight loss to cancer prevention. Spirulina – a blue-green algae which is believed to be the first form of plant life on earth (nearly 3.5 billion years old). An excellent source of protein, vitamins, minerals, and antioxidants. Spirulina has 58 times the iron of raw spinach and 28 times that of raw beef liver. It also contains more beta-carotene than any other whole food. “Beta carotene opens the membrane communication channels of cancerous and pre-cancerous cells, allowing the body to signal the cancerous cells to stop dividing. Therefore, foods rich in beta carotene may not only be able to prevent but also reverse cancers.” Spirulina has also been shown to relieve joint pain, provide healing properties, and acts as a natural detoxifier. 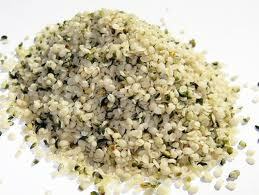 Hemp Seeds – packed with protein, omega-6, omega-3, and vitamin E oils and also rich in iron and chlorophyll. They help boost the immune system, as well as, prevent heart disease and cancer. “Hemp seed is a perfect alternative source of protein for vegetarians because it contains all 20 amino acids (including the 8 essential aminos that adult bodies cannot produce), antioxidants, vitamins, chlorophyll, fiber, and essential fatty acids. Hemp seeds are also a great alternative to using any soy, meat, or other cooked protein products because they are never genetically modified and do not require the use of herbicides or pesticides.” (www.ultimatesuperfoods.com) Hemp seeds are great in smoothies, sprinkled on salads, or blended with water to make hemp milk. I guarantee that when you add these superfoods into your diet, you’ll notice a significant change in your overall well-being. Your health will improve – mentally, physically, and emotionally. The best place to purchase superfoods is from Ultimate Superfoods (online). Whole Foods and some natural food stores carry a few options, but they’re limited.